LIFE HACKS #002 RUNNING LOW ON BATTERY? PUT YOUR PHONE ON A - ProudMummy.com the Web's Community for Mums. LIFE HACKS #002 RUNNING LOW ON BATTERY? 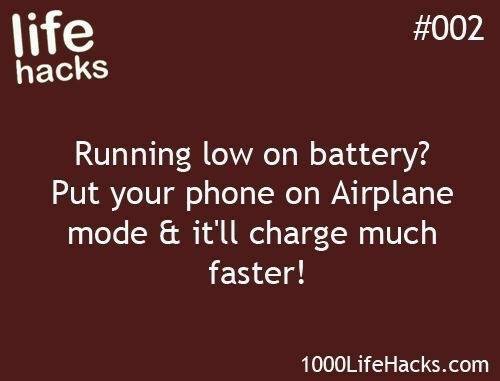 PUT YOUR PHONE ON AIRPLANE MODE & IT'LL CHARGE MUCH FASTER!